Brown Marmorated Stink Bug ( Halyomorpha halys) on Dianthus. I have only seen a few of these guys in my yard over the last couple of years here in BC. My stink bug niche is mostly filled with (Chinavia hilaris) the Green Stink Bug, or its smaller Lygus cousin. 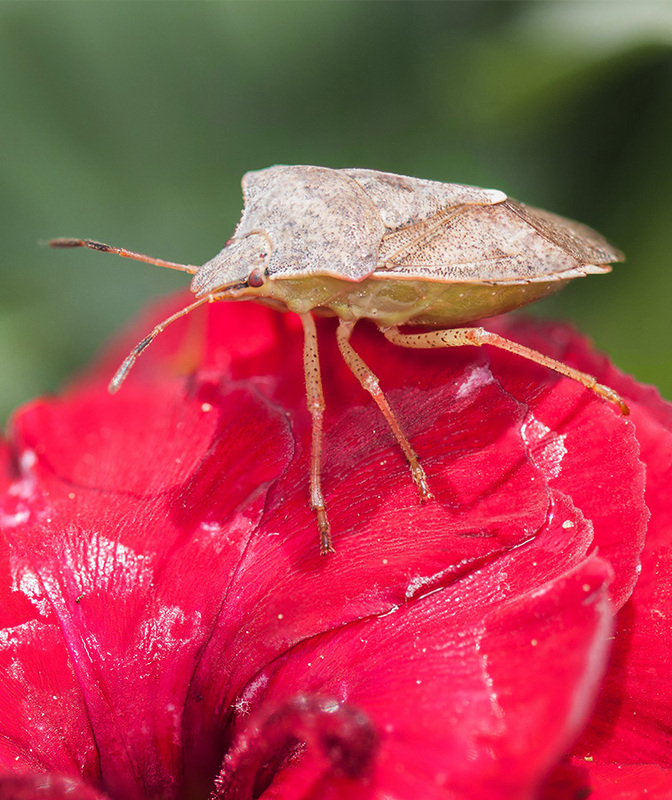 Although considered a pest, I have not seen anything in my garden that would make me nervous to have these Shield Bugs hanging around. I am convinced if your garden is in balance, you will not have large pest issues. The problems arise when you don’t diversify your plants/crops. Even farmers are starting to realize this. “Intercropping” – which is a fancy way of saying adding in another type of crop, helps to reduce the concentration of pests and reduces damage. Think before you spray. It is not necessary to use pesticides if you manage your plants wisely.